There’s a good chance that when you hear StriVectin, you automatically think of its neck cream. According to the NPD group, StriVectin’s TL Advanced Tightening Neck Cream was the best-selling neck cream of 2017, and the company says that one jar of it is sold every minute. Few products are as closely associated with anti-aging as StriVectin. It’s been around since 2002 and has legions of devoted fans, and has earned countless industry awards. But what exactly is in the products, and how do they work? StriVectin launched in 2002 as a stretch mark cream that was sold in health food stores such as GNC. It was a niche brand but then, according to company lore, women started to use it on their faces and claimed it helped to reduce their wrinkles. StriVectin capitalized on this by running ads that asked, “Could StriVectin actually be Better than Botox? The ads and word of mouth recommendations kicked off a phenomenon. 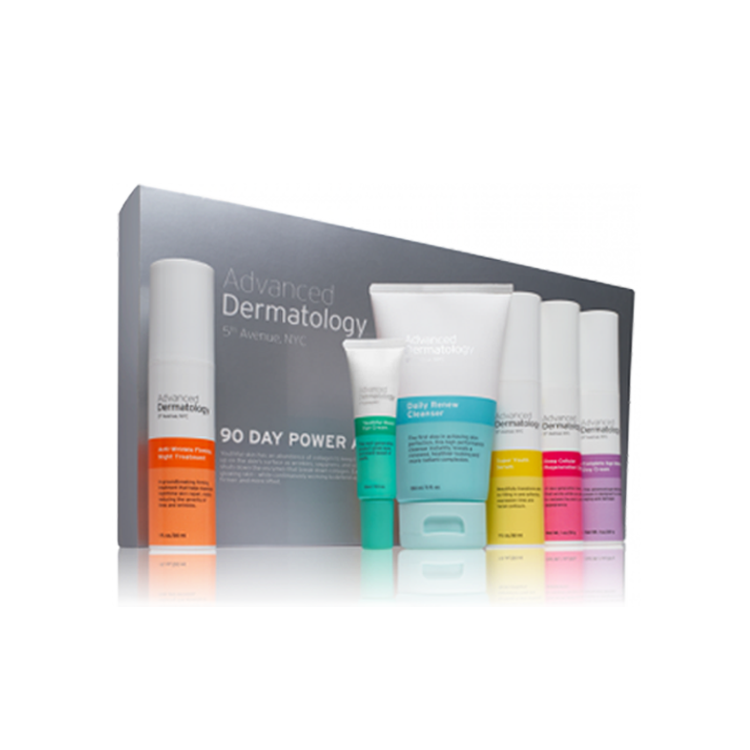 The product, SD Advanced Intensive Concentrate for Wrinkles & Stretch Marks, took off like a rocket and top department stories such as Bloomingdales started to sell it. The Wrinkle Recode Line Transforming Melting Serum–This serum promises to reduce the look of fine lines and wrinkles in seven days, and contains nourishing dhatelo and macadamia oils, as well as StriVectin’s patented NIA-114, a form of niacin/vitamin B3 (more on that later). The serum contains “BioRecode Technology” which is meant to revitalize the skin’s own wrinkle fighting abilities to reduce the look of lines and creases. The serum should be warmed up in the hands before being pressed into the skin. Line BlurFector Instant Wrinkle Blurring Primer– Apply this primer after moisturizing and before applying makeup t help fill in and blur the look of deep wrinkles. When this primer debuted, it sold out in Nordstrom the first week. TL Advanced Light Tightening Neck Cream – This is the legendary StriVectin product that is a worldwide best seller. Now available in a lighter formula, the cream is meant to lift, tighten and firm the neck while helping to diminishes the appearance of horizontal neck lines. StriVectin Intensive Eye Concentrate for Wrinkles- This lightweight moisturizing eye cream is designed to visibly reduce the look of crow’s feet, squint lines and deep-set wrinkles starting in just one week. Strivectin Instant Facial Sculpting Cream – Apply this cream to visibly plump, lift and firm the face. It’s meant to rejuvenate facial contours and target loss of volume. What ingredients are in StriVectin? The hero ingredient in StriVectin products is NIA-114, a patented, optimized form of niacin/vitamin B3. The company says it is clinically proven to strengthen the skin barrier and supercharge the performance of other ingredients for visibly transformed, more youthful looking skin. The ingredient is also believed to protect skin from external stressors and prevent water loss. NIA-114 is the result of 30 years of research led by Myron and Elaine Jacobson, a husband and wife biochemist team who worked at the University of Arizona. The duo were researching niacin’s role in DNA repair for skin cancer. Specifically, they looked into which cells were able to avoid developing skin cancer naturally and they discovered that niacin played a role. Their research led them to discover that NIA-114 worked as a viable alternative to retinol, a vitamin A derivative. Retinol is the gold standard in anti-aging skincare but can often cause redness and peeling. The Jacobsons found that N1A-114 delivered many of the same benefits of retinol, but without the side effects. While NIA-114 is the key ingredient in StriVectin products, other ingredients rounding out the formulas include hydrators such as hyaluronic acid and oils, as well as peptides. The TL Advanced Tightening Neck Cream PLUS also contains hyaluronic acid, which can hold up to 1,000 times it weight in water; peptides (protein fragments) and a blend of ceramides, which boost water retention. Rounding out the list are a brightening complex of rice bran, licorice root and bearberry to help even out tone. SD Advanced Intensive Concentrate is formulated with Collagex-CE Complex along with hyaluronic acid and ginger root extract. StriVewctin says that its Collagex-CE Complex StriVectin targets ‘Youth Collagen’/Collagen III to improve skin elasticity and firmness. The High-Potency Wrinkle Filler contains a blend of NIA-114 along with tri-peptides and hexapeptide. Some of the other key ingredients are commonly found in skincare products, such as glycolic acid which is in StriVectin Advanced Acid Glycolic Skin Reset Mask, and retinol is the key ingredient in Advanced Retinol Intensive Night Moisturizer as well as the new S.T.A.R. Light Retinol Night Oil. StriVectin says NA-114 is a skin multi-tasker. It’s thought to hydrate, smooth lines and inhibit the impact of environmental aggressors. It’s thought to give skin a youthful, clear and vibrant appearance. It may also help with hyper-pigmentation and give skin a brighter look. When deciding if a product works, always keep in mind that everyone’s skin can react differently to the same product. One person’s miracle product can cause a breakout in someone else. When it comes to StriVectin, it’s hard to argue with numbers. After all, StriVectin’s TL Advanced Tightening Neck Cream is the best- selling neck cream in 2017, and the company says that one jar of it is sold every minute . StriVectin products have also received many industry and editorial awards. Wrinkle Recode Line Transforming Melting Serum earned a Fall Beauty Award from O magazine in 2018. New Beauty magazine named StriVectin High-Potency Wrinkle Filler one of the winners of its 2017 Beauty Choice Awards. In 2018, Shape magazine also gave StriVectin TL Advanced Light Tightening Neck Cream an award, while StriVectin Retinol Eye Cream garnered a Best of Beauty Award from Allure in 2017. StriVectin products have also made waves in independent tests. In 2002 the World Congress of Dermatology in Paris showed that the peptide Pal-KTTKS in SD Advanced Intensive Concentrate was more effective in reducing the appearance of wrinkles than creams containing retinol or Vitamin C.
StriVectin says its products are backed up by more than 30 independent studies, 90 patents and 150 published papers. But as with any product, StriVectin also has its detractors. 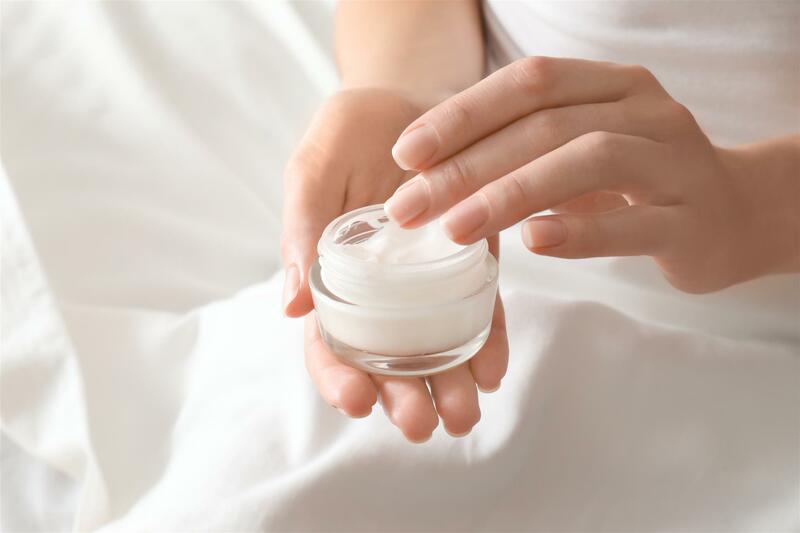 Some dermatologists have expressed skepticism that a cream can do two contradictory things at one- tackle stretch marks by tightening the skin while also relaxing skin to smooth out the look of wrinkles. One reason that StriVectin seems to have a temporary tightening effect could be chalked up to its humectants which attract moisture and give the skin a temporary plumping effect. A tester for Allure magazine recently tried the StriVectin’s TL Advanced Tightening Neck Cream on her neck and chest area, and gave it high marks for its rich, buttery texture but said she didn’t see any “tightening” effects.” Her conclusion? “My neck looked and felt more radiant from all of the hydration the cream provides” and for her, that was enough. How much are StriVectin products? StriVectin is a prestige product and is priced accordingly. A jar of NEW TL Advanced Tightening Neck Cream PLUS is $95, and Line BlurFector Instant Wrinkle Blurring Primer is $39. The products with retinol are some of the priciest- the new EW S.T.A.R. Light Retinol Night Oil is $99 while Advanced Retinol Intensive Night Moisturizer is $112. Where are StriVectin products sold? StriVectin products are sold at prestige department stories such as Nordstrom and Neiman Marcus but it are also found at Walmart, Amazon and the Home Shopping Network, as well as beauty retailers such as Sephora and Ulta. What are alternatives to StriVectin? StriVectin products are certainly pricy, and may not be for everyone. There are other options to hydrate the skin and tackle fine lines and wrinkles. 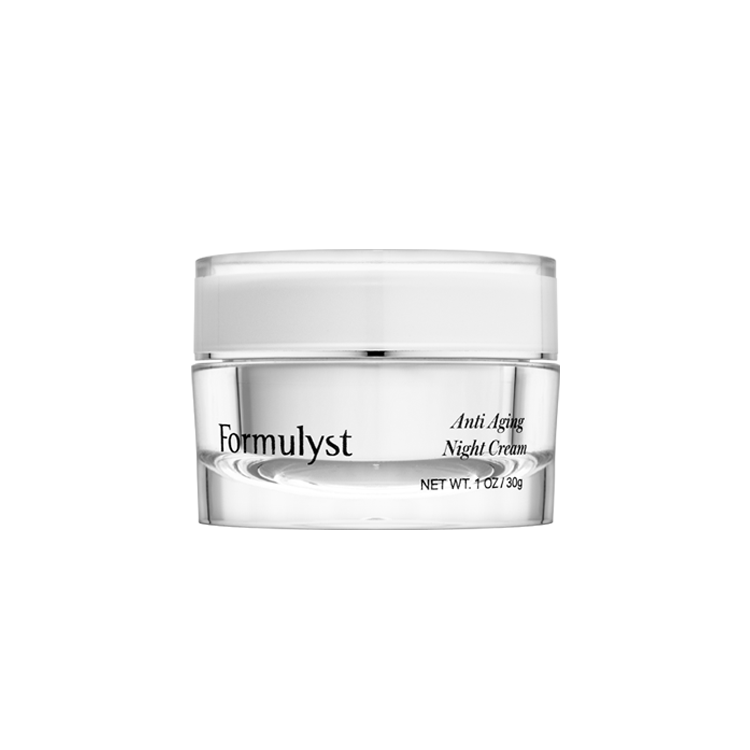 Consider Formulyst, whose philosophy is long-term and effective skincare. Hydrated skin looks plump and dewy, and one of the best moisturizing ingredients is hyaluronic acid. It occurs naturally in the body and is a true superhero ingredient as it can hold up to 1,000 times its weight in water. Formulyst Super Hyaluronic Water Moisturizer is an oil free formula packed with multiple types of hyaluronic acid and works as a moisture magnet by drawing water to the skin. For even more moisture, try layering Formulyst Intense Hydrating Serum under your moisturizer. Say goodbye to parched skin thanks to this lightweight serum which sinks into the skin and is loaded with good-for-you ingredients such as antioxidants and moisture magnets like hyaluronic acid and glycerin. Some of the biggest causes of aging are environmental, such as the sun and pollution, so protecting skin from these aggressors is key to help it looking and feeling its best. Formulyst’s Active Serum – Vitamin B, C, E, Ferulic + Niacinamide is packed with a cocktail of antioxidants and vitamins to help protect skin and keep it looking bright and healthy. The potent blend helps fight free radical damage, tackles hyperpigmentation and leaves skin looking smooth and hydrated. I am a 62 year old widow who has never believed in anything to “anti age” with. I’m a retired paralegal so I base everything on facts. Having said this, I decided one.night to order some of these products to debunk them. Well…I was so wrong! The strivetin-tl I never read the directions just washed my face and started using it. I’m only two weeks in and OMG this stuff works! I had sun spots from years in tanning beds and sun worship. I honestly no longer have the sun spots so prevalent on my face. My face is actually very subtle, soft and as much as I hate to admit it, it works! I also bought Plexiderm which worked for a few hours, hydrolic acid with retin A. No I didn’t use them all at once. My idea was to debunk each product. The StriVectin TL effects after two weeks is so noticeable. Many people have commented how rested I suddenly appear. I bought mine on sale at a local TJ Maxx. This skeptic has turned believer. I honestly didn’t believe any over the counter product was going to do anything. I hate being proved wrong but, sheepishly admit it works wonderfully. I didn’t realize it was for my neck also until finding this site. So I will now try it there. As much as Plexiderm does work temporarily, I much prefer the lasting effects of Stri-Vectin TL. I’m so pleased with the effects of this product I almost don’t mind being proven wrong. I bought both the day and night creams which I am happy with. I find the cream’s retinol help to combat white heads which was a surprise. So not pore clogging. I also purchased the neck cream which I seem to have an allergy to. I have developed an extensive itchy rash over my neck and the top of my chest so I have discontinued use. So mixed reviews for me. The range of prices for SD StriVectin product is far difference market by different vendor over the Internet , just curious to find out any body encounter using fake product or knowing any such imitation product in the market so far? StriVectin TL Advanced Tightening Neck Cream: SAVE YOUR MONEY. Did absolutely nothing. I’m 55 and have been using strivectin for 10 years and hardly have any wrinkles all my friends and acquaintances ask me what I use and now I have a very large following and everyone that I know are also using Strivectin now. It’s on sale at Costco 2 creams for $79.00 it will last for at least 6 months it’s really great I’ve been using it for 10 years and hardly have any wrinkles and I’m 55. Purchased StriVectin repair & protect face cream moisturizer paid approx $100.00. If you look up the ingredients all of them are sunscreen. Very disappointing!! Can buy sunscreen for way less than that. I purchased the StriVectin SD 24/7 Anti-Aging Solution Kit from Marshall’s. I had never used StriVectin before, but thought would give it a try since had the start of TurkeyNeck and wrinkles around my eyes and those horrible upper lips lines from drinking too much liquid from straws. The kit contained StriVectin-SD Power Serum for Wrinkles, Intensive Concentrate for Stretch Marks and Wrinkles, Advanced Retinol Night Treatment, Eye Concentrate for Wrinkles, and Tightening Neck Cream. I am very, very impressed with the results. I am not a very consistent user of anything, as tend to use something for a few days, skip lots of days, and then use for few, etc. I know, BAD. I have used the items in kit for approximately 10 times now, all except the Night Treatment as never used it as always forgot. I didn’t expect big results or anything, but I was really surprised with my results with only 10 times of sporadic use. My eye and lip wrinkles were reduced by 75% to point where almost not even visible, and skin was plumber but my greatest surprise was my neck. No visible sign of TurkeyNeck at all, my neck looks smooth, firm, and so much younger. I am 59 years old, and I did inherit good genes, so have never looked my age, but now I have been told I look to be in my early-forties, after only 10 sporadic uses of this product. I would say give it a try, especially if can find it at Marshall’s to offset the expense. I live in the UK and first started using these products about 8 years ago having been talked into them by a sales assistant in Saks while on vacation. I’m in my 60s and have been told I don’t look my age and how well I look. Yes they are expensive but I’ve discovered that as they aren’t as well known here on the UK as a “beauty product” as such it’s possible to get them at a far less price in stores such as TK Maxx. I don’t know what the US equivalent to this store is I think maybe Century 21 or similar may be the place to try. Just yesterday I purchased a full size intense concentrate, power pair anti wrinkle and overnight resurfacing serum for just under $50 so it really is worthwhile giving these outlets a try. Do you still have the StriVectin SD Power Serum for wrinkles and the EV get even brightening serum. I have used Strivectin SD off and on for years, and, believe me, my skin is MUCH happier when I’m using it then when I’m not. I just bought 2 new 6 oz tubes so I’m in for the long haul again. Not only do people tell me how young I look when I’m using it ( I’m 56 ), but my daughter in her mid 20s couldn’t believe how my “sagging skin” on my arms became “young” again. Seriously, my arms made the most amazing transformation from the skin losing it’s elasticity to looking firm again. I’m in good shape…. but sagging skin came with age. Thank goodness for the Strivectin helping to “keep things in place”. I suppose, from what I have read here, that for some people this product doesn’t work. For my skin, it is spectacular. I like being 56 and looking 42. Because I recently had breast cancer and am on a medication that takes ALL estrogen out of my body for the next 5 years, it’s going to be interesting to see if Strivectin can keep me from looking 92 soon. I’m heading into major wrinkle-time due to lack of all estrogen in my system. Hopefully Stirvectin can continue to keep me at least in my age group while going through this no-estrogen-at-all period of time. From past experience with the product, I’m highly hopeful. I have been using Strivectin SD for a couple of years now. I have very dry skin to the point that it feels uncomfortable without moisturizers. I love the SD products, the face cream, the eye cream and the neck cream. They are especially wonderful in the winter months when my skin can’t seem to get enough moisture. It doesn’t “wax up” on me like other creams that seem to just sit on my face. I can apply it once in the morning and once at night and go on through the day without re-applying. I just added the AR eye treatment, and daytime / nighttime cream to my routine. My skin seems to be more evenly toned, and radiant. I don’t really notice a huge reduction in fine lines and wrinkles, but that might be because I have been using hte SD products for quite a while. I do get compliments regularly on my beautiful skin, a lot has to do with what my mother gave me. I won’t stop using Strivectin any time soon. Working as a beauty consultant, at Macys, I have tried everything I thought would help wrinkles, I mean everything! This is the only product that I have noticed a huge difference with, wrinkles and skin smoothness. It is by far the BEST skin care product I have ever used. I LOVE it!!!! Let me first make a disclaimer – i have never nor do I now, work for Strivectin. I am super picky about what I use on my skin and I try different products ALL of the time. I was resistant to trying Strivectin, but it was getting to the point where I could not stand the texture of my skin. I don’t have a lot of wrinkles, but I do have that descending jowel line and It was making me crazy enough that I was considering a face lift (I am too afraid of the chemicals they use in the injectables, so that is really the only option I would consider). Well, now I think I can probably put it off for a few more years. I cannot say enough good things about Strivectin-SD – it has improved the tone of my skin and has helped plump my cheeks as well as lift my jaw line. I am so stoked. A young 20 something guy at Best Buy said I was cute tonight… I am old enough to be his mom, so I will take that compliment! I am not saying it will will work for everyone, but I am only 3 weeks in using it and I am convinced it is doing exactly what I needed it to do. Oh, it is also good to know I bought it on sale at Costco – 2 of the 4 oz tubes for $99! I just saw strivicten at Marshalls n being a face cream junkie, I was going to buy it, the cream to sculpure ur face n the eye gel, but hesitated. I have sk many different products that r pricey, one I am trying so hard to stick with, and the thought that it was being sold at Marshalls made me think it was a reject, so I came home to read reviews, n so far, not too tempted to go back n purchase. The Instant Retexturizing Scrub is pretty good. Maybe a little overpriced. I did not have as much success with the SD Cream. I actually stopped using Strivectin products and was sucked back in again. Don’t bother with the retinol products. Thee are much stronger retinol products. If you need something stronger. I just bought two Strivectin products after reading all these reviews. I bought the Instant Retexturizing Scrub and Advanced Overnight Resurfacing Serum. I was using a gentle cleanser from the drug store but there was too much dead skin build up. I hope I can see a difference. I just bought the Strivectin-SD Intensive Concentrate because it claims to rebuild collagen, resilience and texture. The limited edition kit costs $139 but is it 4oz so it should last for six months or so. I’m interested in trying your products. Please email me your product prices and address. I am from the Philippines. I used Strivectin for 2 years but to my dismay, I discovered that the brand has been pulled out and is no longer sold here. So I was forced to buy another good brand but cheaper. Is there a possibility that Strivectin products will be sold here again? Jenny SullivanMarch 11, 2013 I had really high hopes for the strivectin eye treatment because I’ve had good success with Olay products before. It didn’t really meet my expectations. It seemed greasy to me. Maybe I got a bad batch but I won’t be purchasing this again. SkylerMarch 15, 2013 I wasn’t a huge fan of Strivectin . It’s about what you’d epcext from something that you can get at any corner store. It works OK I guess but it’s not great. I’m still trying to find the product that will actually work well for my skin. I have been a Strivectin user for several months and I am happy with the product range. I have not tried or heard about StriVectin-AR™ Advanced Retinol Night Treatment but I am going to go onto the website and buy it now and if it is good I will replace my other retinol product. I am very interested in purchasing strivectin products – please get back to me with the best prices for them. I am using StriVectin-AR Advanced Retinol Night Treatment and it is comparable to retina a but slightly more expensive. Retinol is good for wrinkles and pigmentation. It causes the upper skin to peel. I have been using Strivectin products for several years now. They have definitely helped my skin and people tell me that I actually look younger. I still have creepiness on my cheeks but the retiniol product has helped reduce this. I eat lots of green vegetables and fruits 6 times per day to keep the nutrition in my body. I have tried Lancome, Dior, Clinque, Chanel, Guerlain products in the past and nothing world for me. Then I did some research and read many StriVectin reviews and decided to give StriVectin a chance. I have been using StriVectin AR Advanced Retinol Night Treatment since it came out earlier this year. I have tried many different retinol creams from top skin care houses and I like this one best so far. I do not like StriVectin-SD and TL though, they have a strange texture. StriVectin AR feels much nicer. This is my review of Strivectin SD. I’ve been using this product for a years with GREAT results. What it does not do well is lighten spots dark and sun spots and smooth out wrinkles. I think it has some immediate tightening effect as well. Has anybody used Strivectin TL cream? Strivectin SD Cream, serum, etc work for stretch marks and wrinkles. Just use them for long enough before you except a wrinkle free face. They contain retinol so they will smooth the face as well. I have yet to come across a better wrinkle cream then Strivectin. Strivectin is awesome. It tightens the skin just as it would with stetch marks. Use it on half your face for a week and you will see what I am talking about. The secret is to keep using the products though because it will just become loose after a while if you do not maintain. It’s a cosmetic thing and not a medical breakthrough. Strivectin is pricey but works. Strivectin is not a miracle cream and it made no difference to my wrinkles or my stretch marks. Other people swear by their products but I think they are being paid by Strivectin. I’ve also tried the neck cream, eye cream and other Strivectin products and they just dont work. Has anbody had any luck with Strivectin?